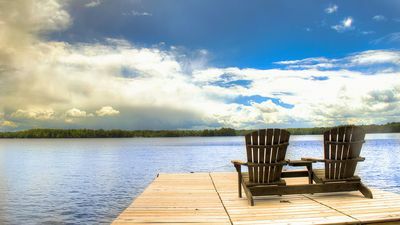 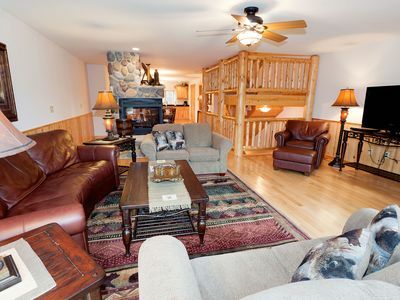 Get lost in the beauty of Up North waterfront living when you stay in our 'Lake Home' and 'Log Home' giving you a total of 4 bedrooms and 4 bathrooms. 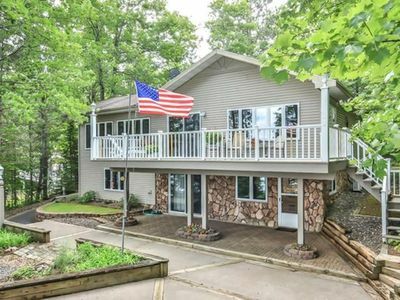 The 'Lake Home' has an expansive deck overlooking the water to enjoy your morning breakfast or coffee and the southwest view provides beautiful sunsets in the evening. 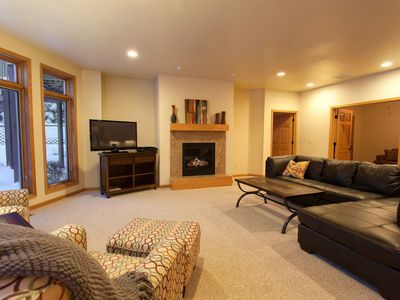 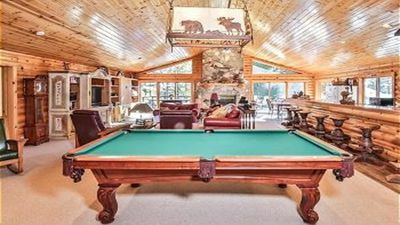 The main floor has a large stone wood fireplace in the family room with a picturesque view of the water. 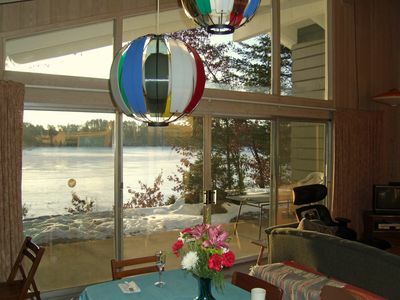 There is a walkout basement, which opens up to a beautiful view of Duck Lake. 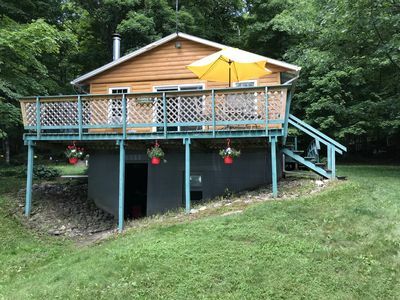 The path in front of the 'Lake Home' leads you to a waterfront firepit and a dock to keep your boat nearby for a morning fishing trip or a leisurely evening cruise. 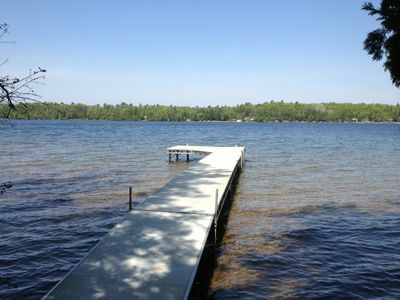 You can also enjoy the sandy beach area along with 125' of sandy frontage for swimming. 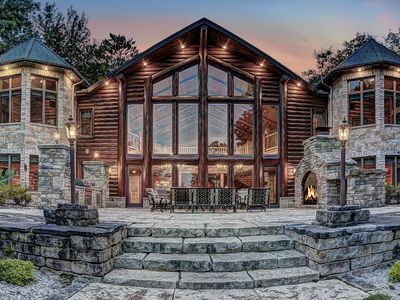 The 'Lake Home' sleeps 8-10 people. 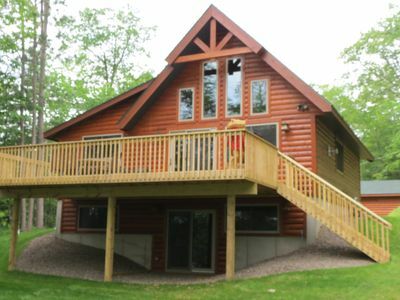 Our 'Log Home' is set against a thick grouping of trees and has a gorgeous view of the water from the living room, the master bedroom and the attached screened- in porch. 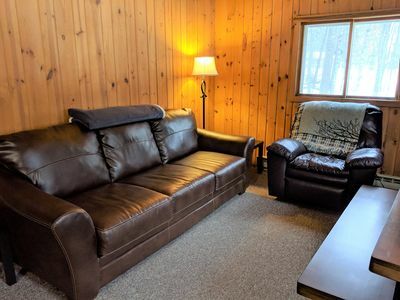 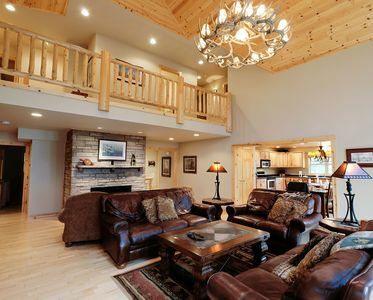 The 'Log Homes' interior is a modern, comfortably designed layout to satisfy the tastes of those that love a Northwoods feel with wood furnishings and nature decor through-out. 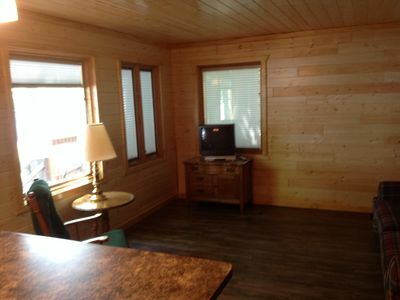 The 'Log Home' sleeps 6 people. 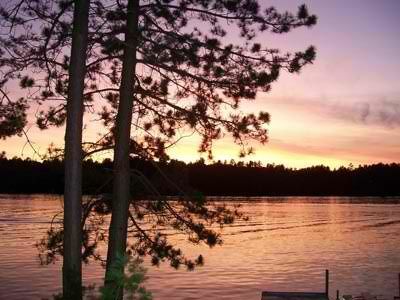 Top 10 Homes On World's Largest Chain of Lakes! 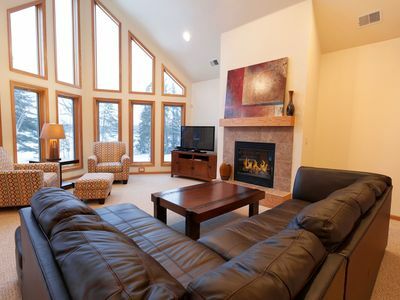 Featured On Travel Wisconsin! 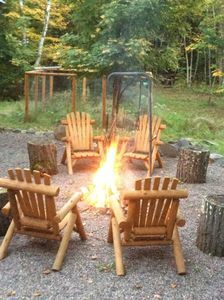 For all of the outdoor enthusiasts. 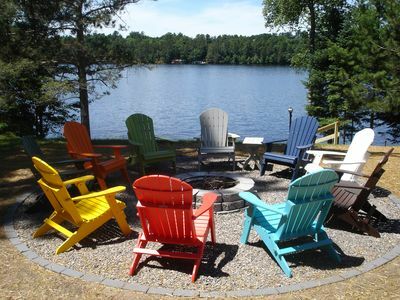 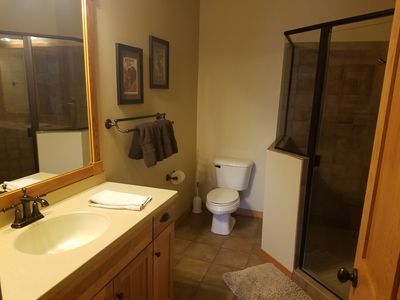 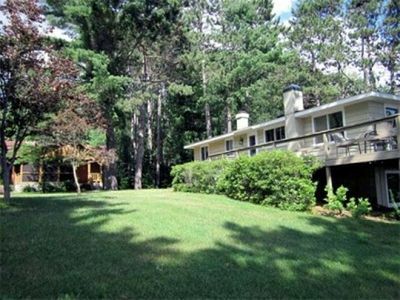 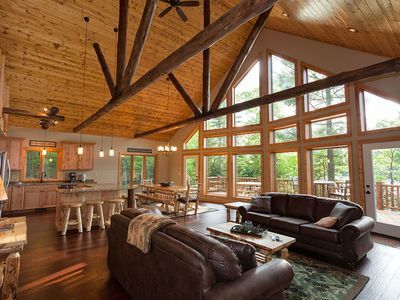 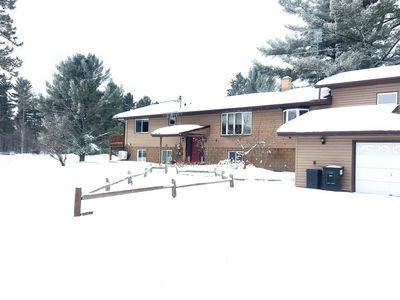 Cranberry Lake - Stunning Vacation Rental Home!